Anyone know how much I need to torque the bolts down for the rear main seal carrier plate? IIRC they are 7 lb/ft torque. I figured it was something low, mainly because of the size of the bolts. I just tightened them and snugged them a bit, so probably around 10-12 ft/lbs. Plus I used threadlocker so they should be good for another 160k or so. 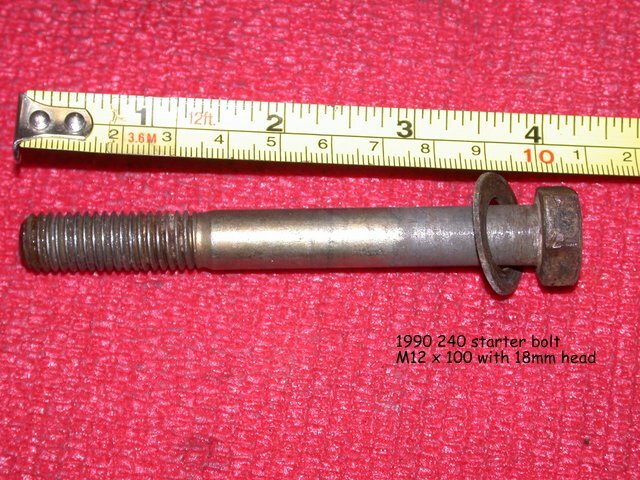 1978-1991 240 steering column SHAFT where steering wheel retaining nut threads on is M18-1.5 thread/count. Didn't see the starter bolts in this FAQ. I had to cut off the heads and then lost the rest during my slow rebuild job on a 1990 240DL. Flexplate to crank and flex plate to torque converter...? anyone? in the final stages of this build and wanted to replace the old hardware (if i even have it anymore...) involved in bolting these things on. if anyone has a motor laying around they could check , that would be greatly appreciated. 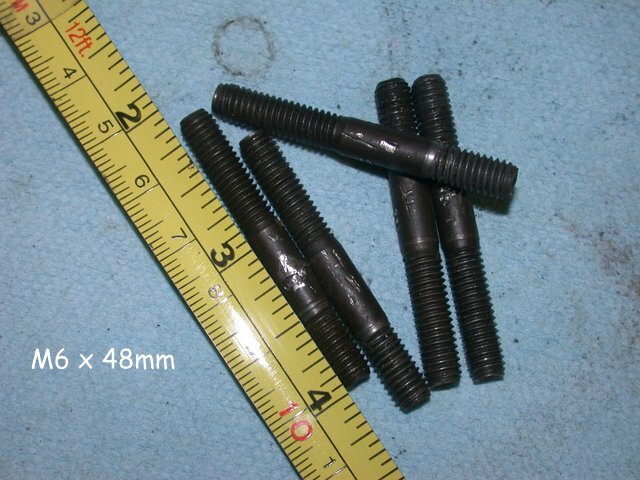 crank bolts and torque converter bolts. nothing? 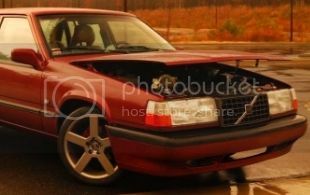 i havent been over to the motor to work on it for a week....but still need the info! bolt that fits for the crank is m10x1.5 length, im guessing is something in the 40-50mm range. my last resort is to order them from the dealer. i just have a feeling these are going to be in the 5-6 dollars each range. what is the thread size on the main fuel pump check valve? not the compression-seal side the thread for the check valve to the main pump. Current cars: Something old, something new, something borrowed, something Maroon. Does anyone know off hand the size & pitch of the studs/nuts on the exhaust manifold flange-to-header pipe on an NA B230? I saw the manifold studs are listed here but not the next juncture on the exhaust. Possibly even the part #'s for said three studs and copper lock washers. 1979 242GT, a work in progress. Find More Posts by J.B. Surprised this wasn't in the thread already, and it was asked before at #81 but not yet answered. This might help a little for part numbers. Buying them from ww.tascaparts.com is what I did. 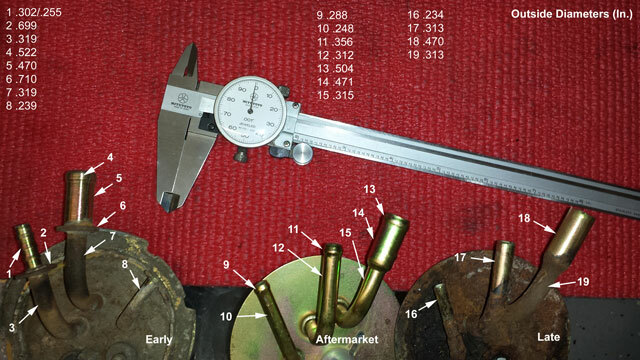 Who sells a thread pitch gauge that has old man eyes sized readable stamped print; and useable sizes without wasting space with impractical sizes- and maybe NOT CHEESY QUALITY? M47 drail and fill plug 18mm x 1.5. What's the length of the M8x1.25 exhaust studs? The M8 studs I have (240 Ti p/n 953048) are 50mm long. Now, why do I have this picture? 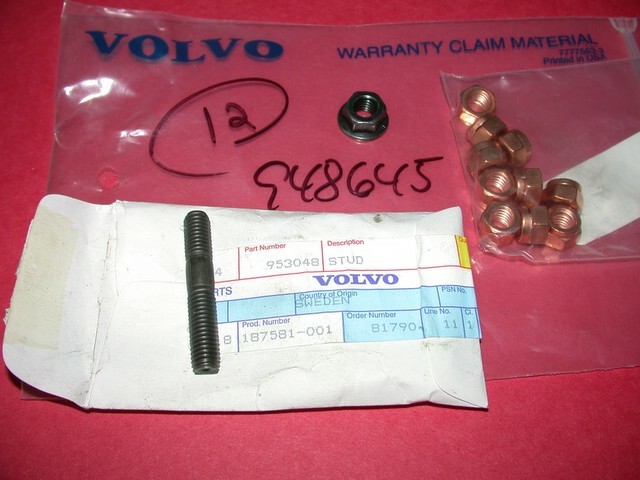 These are the cam cover studs and the thermostat housing studs in the head (B21/23/230 best I know). Last edited by Coupe' de Grace; 07-09-2014 at 01:01 PM..